As an employer or supervisor, you are responsible for ensuring that your employees receive the compensation they are due under the applicable laws. Underpayment of employee wages can leave you vulnerable to lawsuits filed by employees seeking back wages and damages, as well as fines and criminal prosecution. To protect yourself and your organization, you should be familiar with the Fair Labor Standards Act (FLSA), which imposes a federal minimum wage, mandatory overtime pay, and additional employment-related standards for healthcare organizations. This course will introduce you to key provisions of the FSLA through a combination of easy-to-read summaries and skill-building activities that highlight how the law applies in scenarios you may encounter at work. First, you’ll learn about the minimum wage, overtime, child labor restrictions, and what constitutes compensable time. After that, you’ll learn how to determine if an employee is exempt from FSLA protections. Finally, you’ll learn about employer responsibilities for record-keeping and limitations. 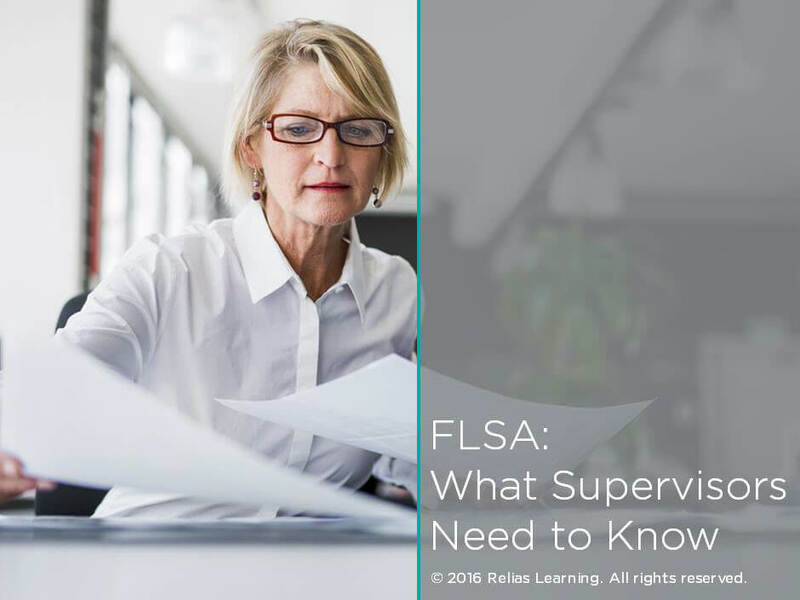 By the end of the course, you will have the information you need to ensure compliance with the FLSA. Summarize the minimum wage, overtime pay, child labor, and record keeping requirements of the Fair Labor Standards Act (FLSA). Explain what constitutes compensable time under the FLSA. Describe which employees are exempt from the overtime requirements of the FLSA and which are not. D.	Who Doesn’t Get Paid? F.	Who Must Be Paid? B. What Records Are Required by the FLSA? D.	How Long Should Records Be Retained? Instructor: Kelly J. Ace, Ph.D.
Kelly J. Ace, holds a Master’s degree in Counseling & Psychology, a Ph.D. in Human Sexuality, and a law degree. She is licensed in Pennsylvania as both an attorney and professional counselor. She oversees the clinical, abuse prevention education, and treatment programs at Family Support Line, a nonprofit advancing the prevention and treatment of sexual abuse. She also teaches psychology courses at Delaware County Community College. Disclosure: Kelly J. Ace, Ph.D. has declared that no conflict of interest, Relevant Financial Relationship or Relevant Non-Financial Relationship exists. The target audience for this course is: intermediate level Administrators; intermediate level Nurses; intermediate level Social Workers; in the following settings: All Healthcare Settings.